Every year, we take time to identify the top facilities in each district and designate them as District Distinction Award recipients. This year, only four facilities received the award. 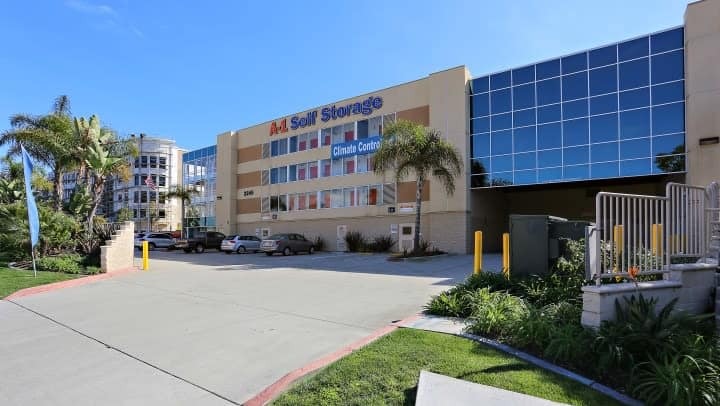 We’re excited to announce that A-1 Self Storage in San Diego’s Hotel Circle was lucky enough earn the title of District Distinction Award winner! We had a chance to talk with Professional Self Storage Manager, Darlene Kurchokowski, about this phenomenal facility, and her experience winning the award. At 11 years old, the facility has been exceptionally well kept over the years. Darlene says she is proud that a lot of people still tell her it looks brand new. Darlene has worked at the facility since it first opened in December 2007 and was kind enough to tell us about the occupants at A-1 Self Storage in Hotel Circle. “Our tenants here are very nice. We have great reviews online. Plenty of military tenants! We have a lot of businesses, but we have a lot of families renting here too. I would say 20% business, 80% household or military,” she said. At 965 units, this storage facility has self storage ranging from closet sized spaces all the way up to 10 ft x 34 ft units. Darlene also mentioned that the facility offers 55 climate controlled units in the basement. An important part of any self storage facility is its security features. At Hotel Circle, each unit is equipped with individual door alarms and the facility has cameras surrounding the building 24/7. Darlene explained to us how their system of technology and staff awareness works together to create a secure facility. “Let’s say the building door was left open, which happens once in a while, and somebody walks in. As soon as they roll up the door to their unit, we hear the alarm in the office. The first thing we do is call the customer to make sure that he or she is the one accessing the unit. “If it goes to voicemail, we actually go up and check it out, and then check the ID of the person. Most of the tenants I know here anyway, and then I just remind them to always key in their code. We want to make sure that their stuff is safe here and make sure only someone with proper access is in the unit,” Darlene said. On the off chance that you need assistance transporting your goods to and from your unit, there are more than 10 dollies on site. You can find at least three dollies near each of the doors, as well as one flatbed cart at each door. While the access hours at this facility are already the longest in the area at 6 a.m. to 10 p.m., Darlene said that she provides some commercial tenants 24-hour access. She says that sometimes businesses need materials after 10 p.m., and that the team wants to accommodate their needs. It’s this kind of commitment to service that makes winning the award mean something not only to the team, but also to the customers. “This facility won Facility of the Year in 2012, and I’m proud to say that every time we win something I share that with my tenants, and they really appreciate that. They sometimes bring us some goodies and congratulate us. So I have good comradery with our customers here,” Darlene said. Darlene, Rana, and the rest of the Hotel Circle team are hard working, caring, and motivated to go above and beyond for their customers. Pair that with a facility featuring stellar amenities and it’s no wonder that this facility is a District Distinction Award winner!